Have you come across the book BEE by Rose-Lynn Fisher? 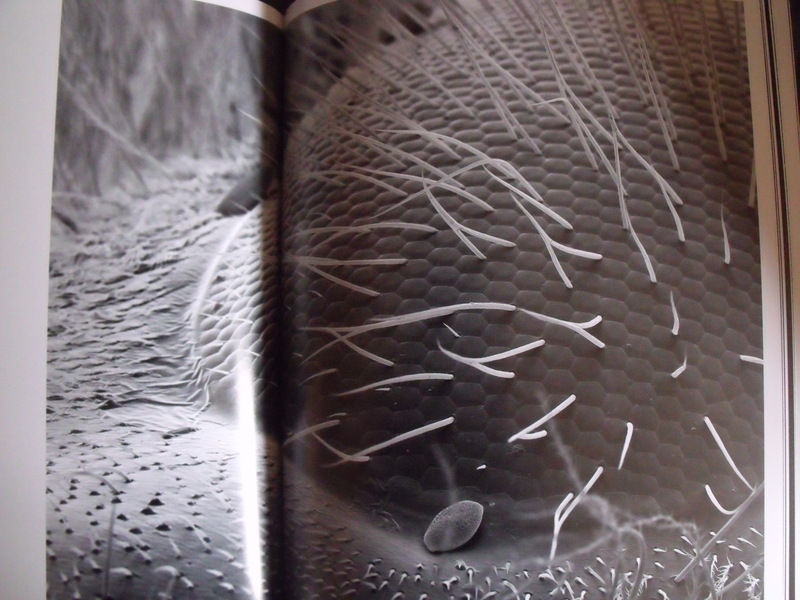 The book is predominantly pictures, grey scale pictures of the most exquisite details of honey bees. The magic of the pictures is hard to convey in mere words – which is why each image with details of the part of the bee and the magnification used adds to the simple beauty. A few clear words that add what may not be obvious visually are the perfect accompaniment. The copyright explains that nothing can be copied except as part of a review so I think a picture of the cover and one image would be allowed. I saw the book some months ago and made myself wait because it is so easy to get carried away and but every item that has the word bee when you are engulfed in the glorious enthusiasm of your first years of being a beekeeper. As most teachers, I have come across students who hate words whether they have to read them or write them – but give them a picture that lights their curiosity and they can hardly stop the questions tumbling from their mouths. Strangely, some the most reluctant readers seem to much prefer books relating to facts than stories. Thus, using just one picture at a time with a group or giving the book to a child to look at in its entirety will surely provide a useful stimulus to many imaginations or to budding scientists. In particular, looking at bee sight, the pictures of the eye work well with the other links I have mentioned so I will use an eye picture to illustrate my comments here. Apparently only a few bee species have hairy eyes. 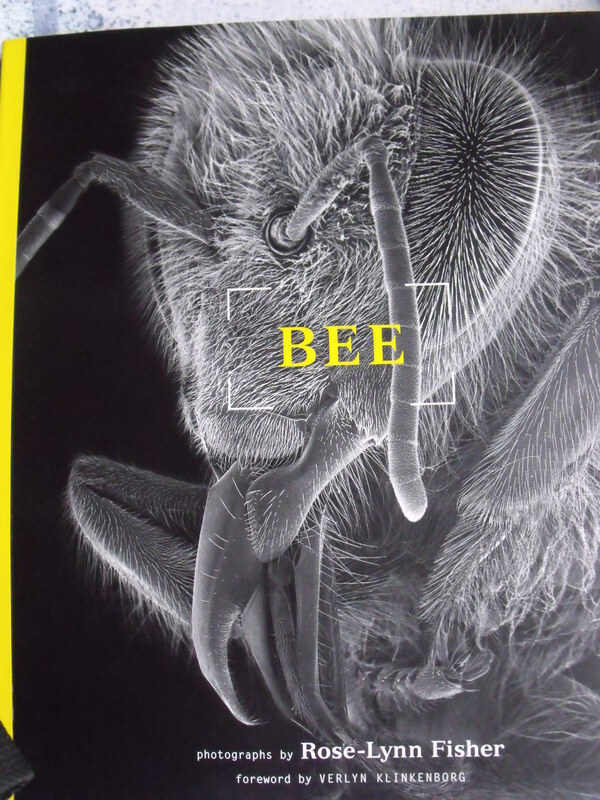 This entry was posted in Bee curious, Bee life, Bee vision, Natural world and tagged amazing, bee, bee eye, bee parts, book, compound, hairy, hexagonal sections, inspirational, magification, pictorial, Rose-lee Fisher. Bookmark the permalink.